Psalm 137 is the only one out of the 150 biblical psalms set in a particular time and place. The vivid tableau sketched by the opening lines has lent itself to visual representations over the millennia. How shall we sing the Lord‘s song in a strange land? From bas-reliefs in Assyria to brush strokes in Germany, these vivid lines have been envisioned by artists and musicians across millennia. Each interpretation brings something different to the story and shows the cultures which this psalm has touched. This Assyrian bas relief, from Ninevah, actually slightly predates the forced migration of Judeans to Babylonia by more than a century, although it depicts captives carrying harps as is suggested in the psalm. 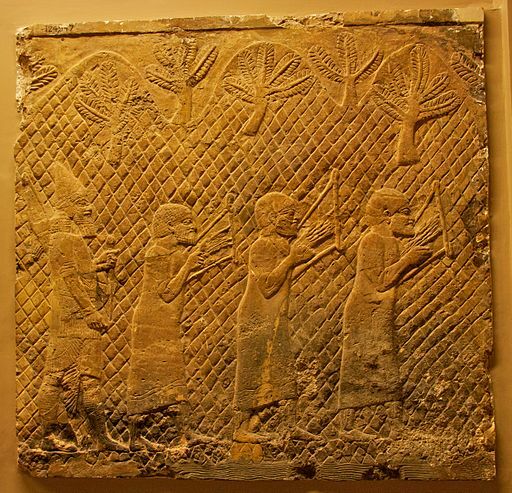 Image Credit: “Lachish Relief, British Museum 13” by Mike Peel. CC-BY-SA-4.0 via Wikimedia Commons. 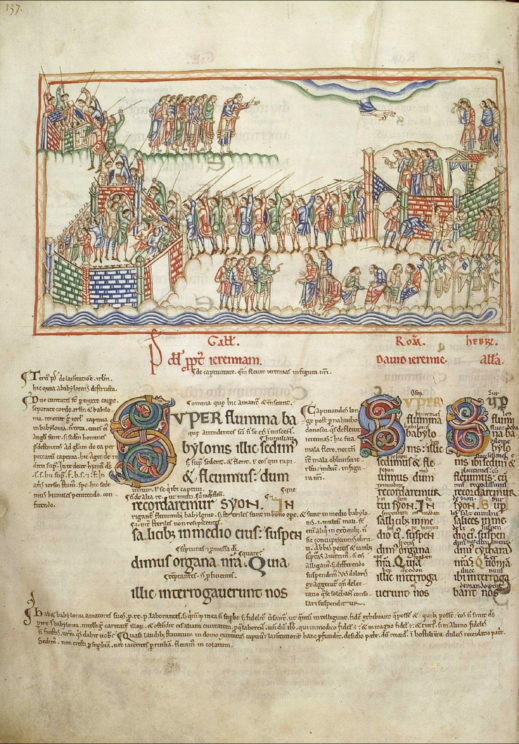 Some of the earliest visual representations of Psalm 137 are found in illuminated psalm books and manuscripts, from England to Russia. 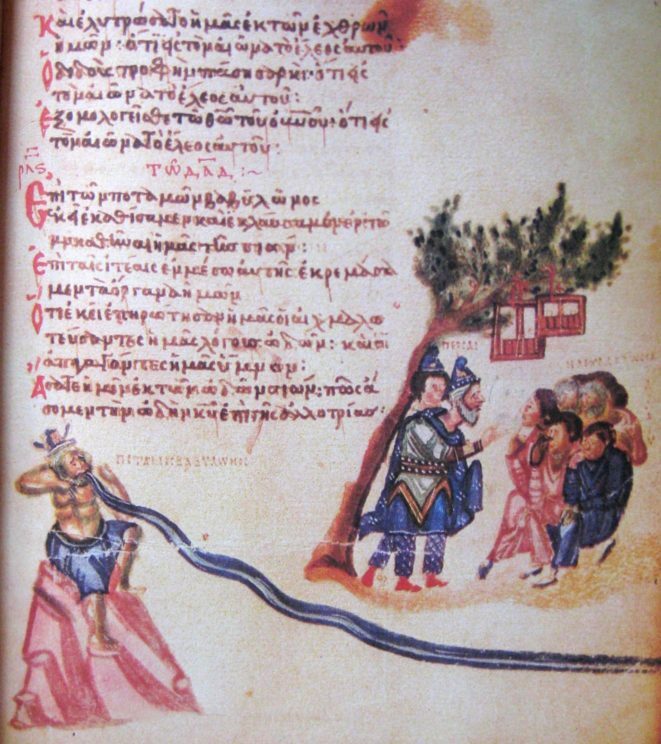 Image Credit: “Psalm By the rivers of Babylon from Chludov Psalter.” Public domain via Wikimedia Commons. Image Credit: “Psalm 136 (137), Initial S. In: Albani-Psalter.” Public domain via Wikimedia Commons. 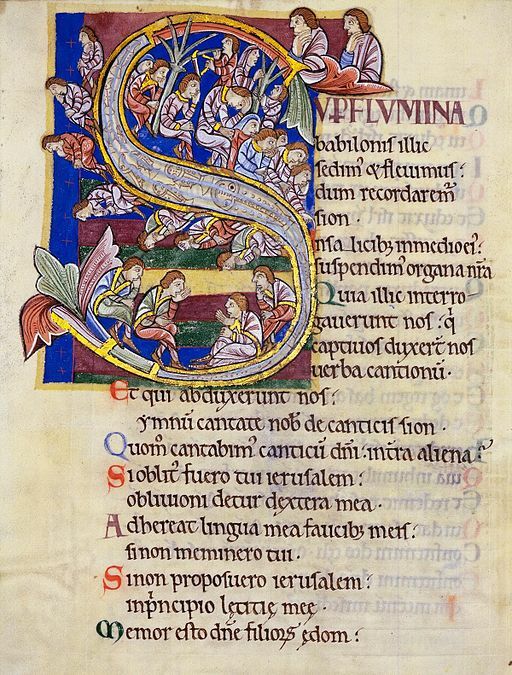 Image Credit: “Eadwine psalter : Psalm 137 (136), Super flumina Babylonis.” Public domain via Wikimedia Commons. 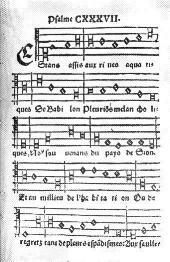 Psalm singing without accompaniment, harmony or embellishment became a crucial part of worship for Protestant Christians, especially in the Calvinist tradition that eventually dominated the religious culture of New England. Image Credit: “Calvins Psautier Huguenot (ed. 1539) – Psalm 137” Public domain via Wikimedia Commons. 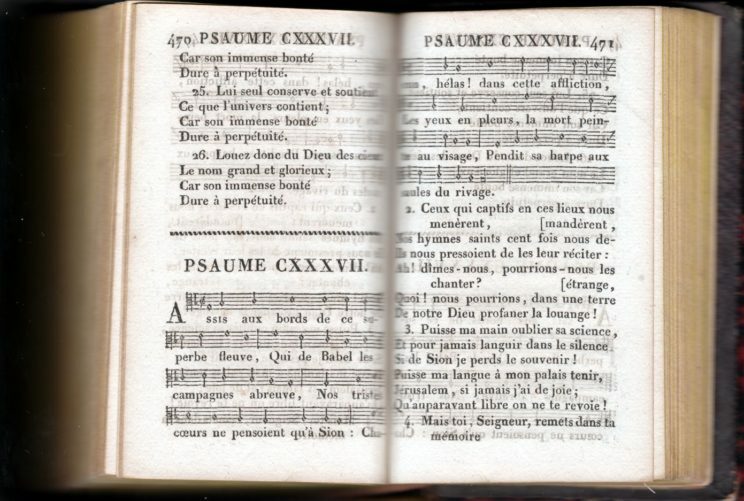 Image Credit: “Psalm 137 in a French protestant psalm book of 1817” Public domain via Wikimedia Commons. 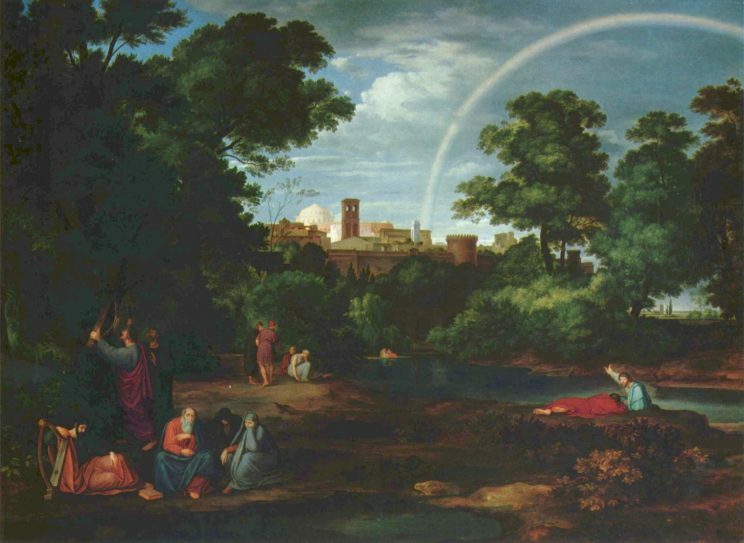 With its undercurrent of nostalgic longing for a lost homeland, Psalm 137 was an attractive inspiration for Romantic painters and composers. 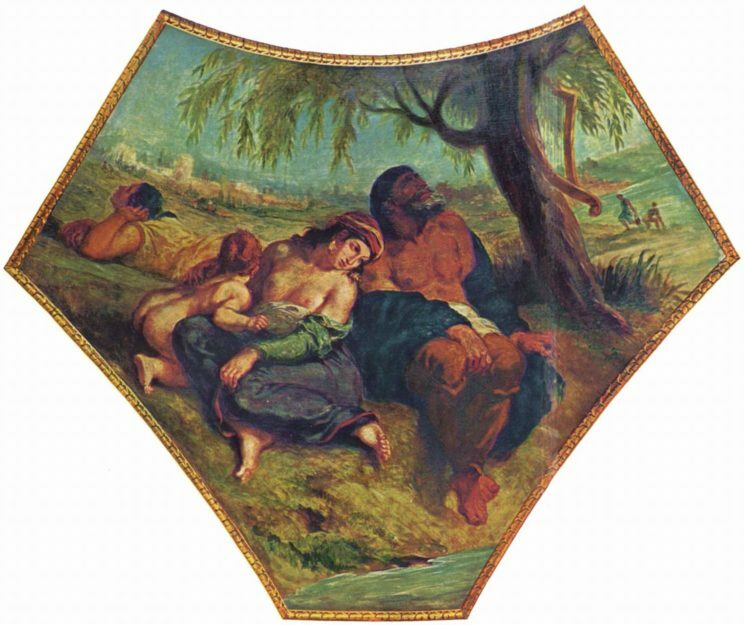 The 1830s and 1840s witnessed a number of depictions by French and German painters. The German artist Ferdinand von Olivier was associated with the Nazarene movement, a group of Romantic painters who took inspiration from artists of the late Middle Ages and sought to restore a more direct and honest form of painting Christian subjects. Image Credit: “Die Juden in der Babylonischen Gefangenschaft” Public domain via Wikimedia Commons. 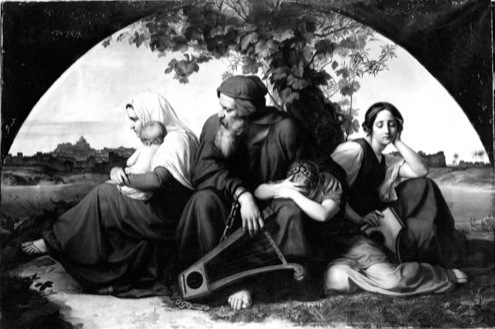 Born in Berlin to a Jewish banking family, Eduard Bendemann’s 1832 painting, Lamenting Jews in Exile, helped launch his career. Later he became professor at the Dresden Academy of Fine Arts and served as director of the Dusseldorf Academy. 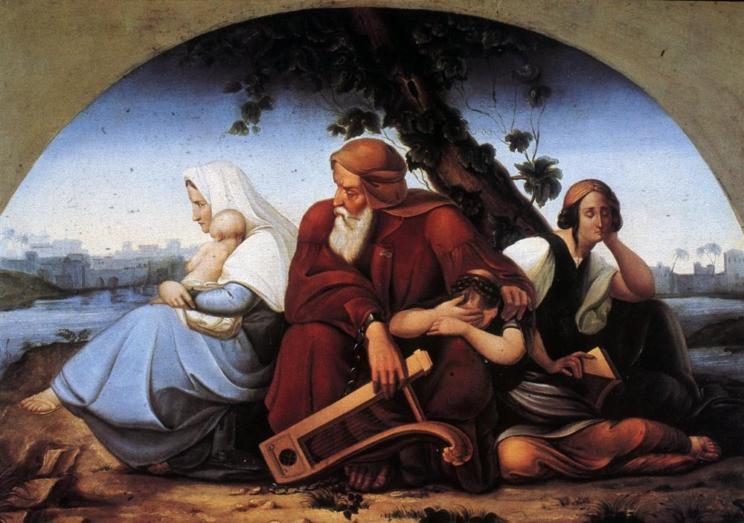 Image Credit: “Eduard Bendemann, Lamenting Jews in Exile, 1831–32.” Public domain via Wallraf-Richartz Museum & Fondation Corboud. Image Credit: “Palais Bourbon, Malerei in der Kuppel der Theologie, Szene: Babylonische Gefangenschaft.” Public domain via Wikimedia Commons. 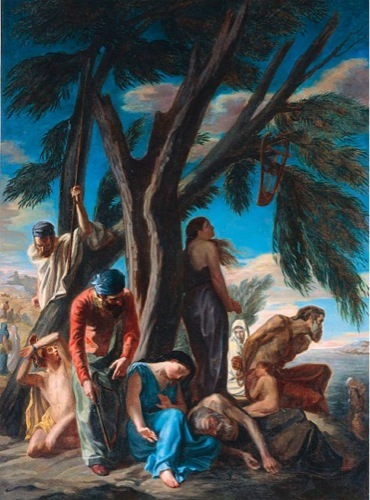 A student of Delacroix, Louis de Planet was born into a wealthy family from Toulouse and completed a law degree before taking up painting. Image Credit: “The Last Stop of the Jews Led into Captivity in Babylon” by Louis de Planet. Public domain via Musee des Augustins, Toulouse/Daniel Martin. Featured image credit: Your Word, by Rachel Titiriga. CC BY-2.0 via Flickr. David W. Stowe teaches English and Religious Studies at Michigan State University, where he is interim chair of the English Department. His most recent book is No Sympathy for the Devil: Christian Pop Music and the Transformation of American Evangelicalism. His previous book, How Sweet the Sound: Music in the Spiritual Lives of Americans, won the Deems Taylor Award from ASCAP. 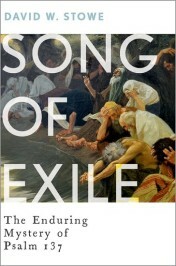 He is the author of Song of Exile (OUP, 2016).